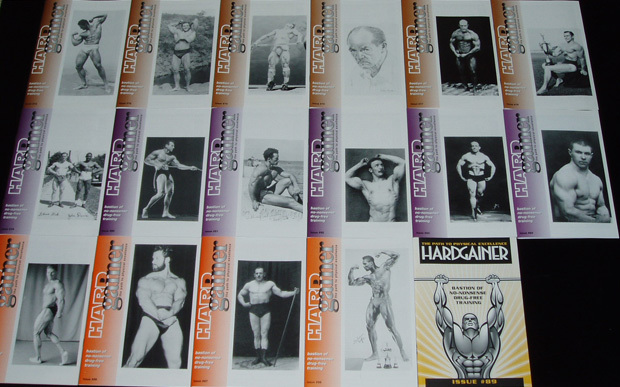 There are 89 issues of HARDGAINER print magazine, with a total of over 1,100 articles. 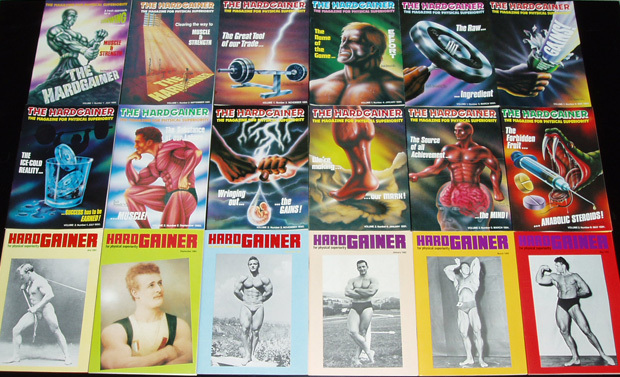 HARDGAINER is free of mainstream hokum, but crammed with practical advice, and wisdom, to show you what really works for drug-free bodybuilders and strength trainees with normal genetics and busy lives. Inspirational articles on developing the right training philosophy for you. Training in home gyms, and commercial gyms. From-the-grassroots articles, and readers’ letters. Furthermore, Stuart edited each issue, and contributed to each one. 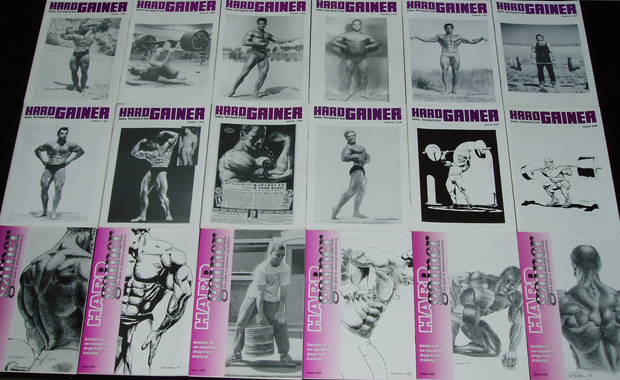 All back issues of HARDGAINER magazine are available, although issues 1-30, 38, and 42-44 are available in photocopy format only. But all the other issues are available in original format. The first issue of HARDGAINER has 24 pages. It grew to 40 pages in the 6th issue, and 48 pages in the 14th issue. All issues thereafter have 48 pages. And although Stuart wrote most of the first few issues, other authors quickly came on board to provide their wealth of experience and expertise. Although the magazine is small in size, it’s huge in its specialization. Each issue is almost entirely made up of practical, helpful guidance. Bodybuilding magazines are usually full of ads, photos and padding, with few pages of instruction that’s practical and helpful for natural, genetically normal bodybuilders. Take advantage of HARDGAINER’s treasury of information and instruction, and boost your bodybuilding progress. 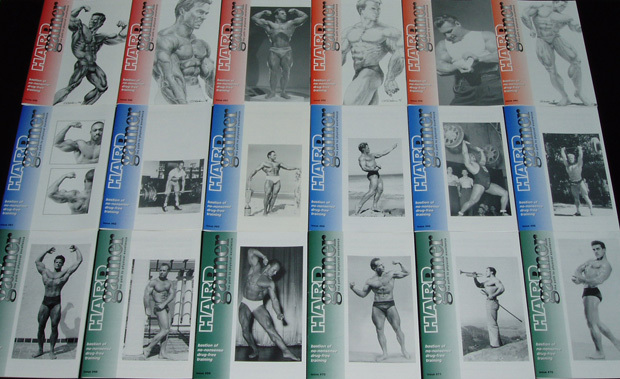 Here’s a list of all the issues of HARDGAINER magazine, and the details of the contents of each one.